George Y. Shevelov Юрій Шерех - Юрій ШерехSlavic linguist, philologist, essayist, literary historian, and literary critic; full member of the Shevchenko Scientific Society since 1949 and of the Ukrainian Academy of Arts and Sciences since 1945. After studying under Leonid Bulakhovsky at Kharkiv University (candidate 1939) he lectured there in Slavic linguistics (1939–43). Having emigrated to Germany, he taught at the Ukrainian Free University in Munich (1946–9) and obtained a doctorate there (1949). He was also vice-president of the MUR literary association (1945–9) and edited a monthly journal Arka. After settling in the United States he served as lecturer in Russian and Ukrainian at Harvard University (1952–4), associate professor (1954–8) and professor of Slavic philology at Columbia University (1958–77), and president of the Ukrainian Academy of Arts and Sciences (1959–61, 1981–6). He was a founding member of the Slovo Association of Ukrainian Writers in Exile. In 1978–81 he was editor in-chief of the journal Suchasnist’. In 1991 Shevelov became a foreign member of the National Academy of Sciences of Ukraine.Shevelov is the author of some 500 articles, reviews, and books on Slavic philology and linguistics and the history of literature. In Slavic linguistics he has contributed to such areas as phonology, morphology, syntax, lexicology, etymology, literary languages, and onomastics. He has devoted special attention to Old Church Slavonic, Belarusian, Polish, Russian, Slovak, Serbo-Croation, Macedonian, and above all Ukrainian. 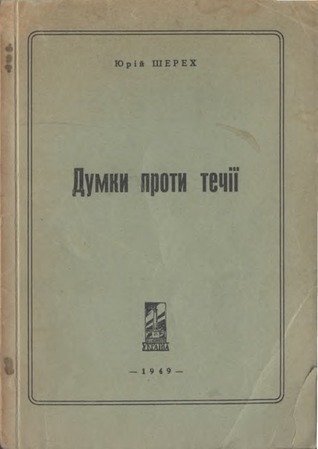 In his most important work, A Historical Phonology of the Ukrainian Language (1979), Shevelov demonstrated the historical continuity of the language. His other important publications in linguistics are Do henezy nazyvnoho rechennia (On the Genesis of the Nominal Sentence, 1947), Halychyna v formuvanni novoï ukraïns’koï literaturnoï movy (Galicia in the Formation of the Modern Ukrainian Literary Language, 1949, 1975), Narys suchasnoï ukraïns’koï literaturnoï movy (An Outline of the Contemporary Ukrainian Literary Language, 1951), The Syntax of Modern Literary Ukrainian: The Simple Sentence (1963; Ukrainian version 1951), A Prehistory of Slavic: The Historical Phonology of Common Slavic (1964, 1965), Die ukrainische Schriftsprache, 1798–1965 (1966), Teasers and Appeasers: Essays and Studies on Themes of Slavic Philology (1971), and The Ukrainian Language in the First Half of the Twentieth Century, 1900–1941: Its State and Status (1989; Ukrainian version 1987).His numerous articles in the field of literature, literary criticism, and theater were collected in Ne dlia ditei (Not for Children, 1964), Druha cherha: literatura, teatr, ideolohiï (The Second Round: Literature, Theater, Ideologies, 1978), and Tretia storozha (The Third Watch, 1991). Most of these essays were reprinted in Kharkiv in 1998 in a two-volume edition Porohy i zaporizhzhia (The Rapids and . He was one of the organizers of émigré literary life in Germany after the Second World War. Shevelov was editor or coeditor of many scholarly and literary journals, serials, books, and other publications, including Arka (1947–8), Annals of the Ukrainian Academy of Arts and Sciences in the United States (1960–1), Historical Phonology of the Slavic Languages (5 vols, 1973–83), and Suchasnist’ (1978–87). He was also linguistics subject editor for Entsyklopediia ukraïnoznavstva (Encyclopedia of Ukraine, 1949–52, 1955–89), Ukraine: A Concise Encyclopaedia (vol 1, 1963), and Encyclopedia of Ukraine (vols 1–2, 1984, 1988), to which he contributed numerous articles.A bibliography of his works by Jacob Hursky appeared in Symbolae in honorem Georgii Y. Shevelov (1971) and Studies in Ukrainian Linguistics in Honor of George Y. Shevelov (1985). Another bibliography of his writings, edited by A. Danylenko and L. Chaban, appeared in New York in 1998. A two-volume edition of Shevelov’s memoirs was published in Kharkiv in 2001.